In August 1783, Congress authorized funding for an equestrian statue of George Washington in "Roman dress…his head encircled with a laurel wreath." They commissioned American painter Joseph Wright for a bust of the victorious Commander in Chief. 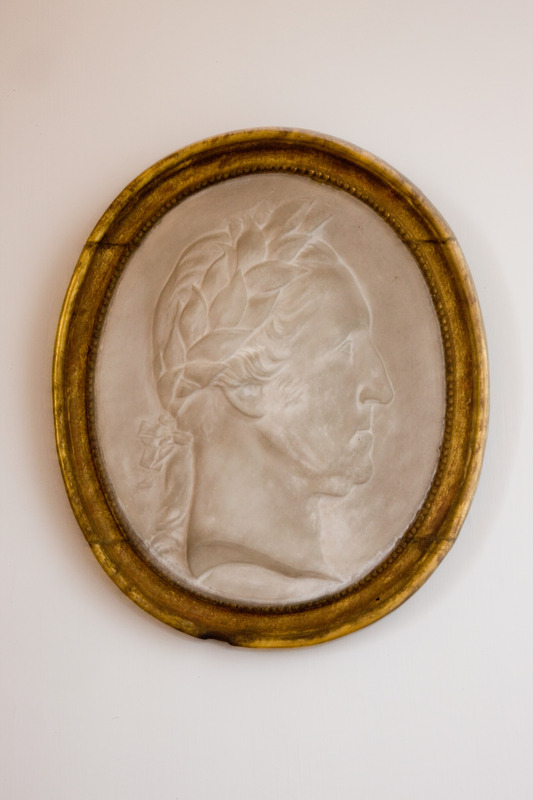 Wright executed this cast bas-relief portrait as an offshoot of that project. Bust-length, profile portraits were extremely popular in the late eighteenth century. Based on ancient Greek and Roman examples, they appealed to neoclassical tastes. They also embodied the individualism and rationalism of the Enlightenment era by demanding close, objective observation for an accurate depiction. 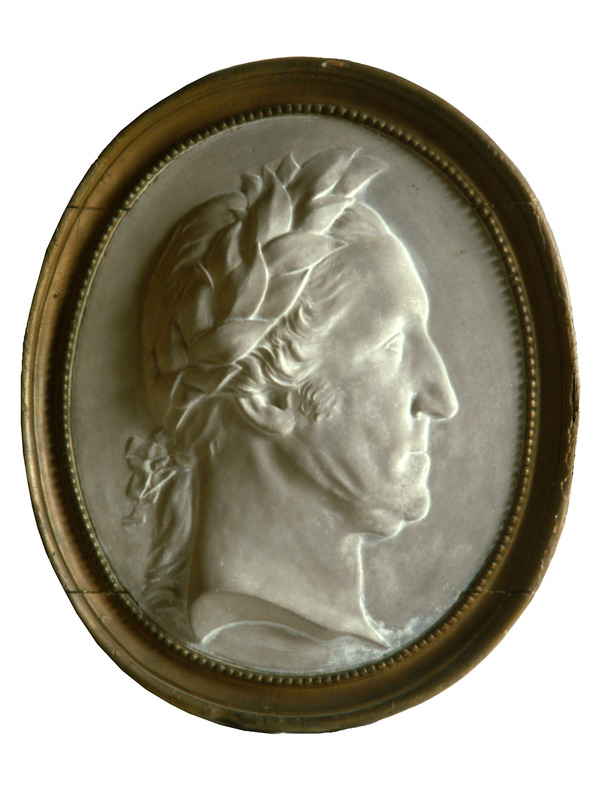 Oval, bas-relief, bust-length, profile portrait of George Washington, facing the viewer's right and wearing a crown of laurel leaves; his hair tied in a queue. Unsigned. Oval, gilded wood frame with central cove flanked by an outer round and an inner string of carved beads or pearls; coved sides.